It was around 7Am i got a call from a savior who saw him struggling and wanted to help. I rushed down to his rescue and was taken back seeing the pathetic state he was in. 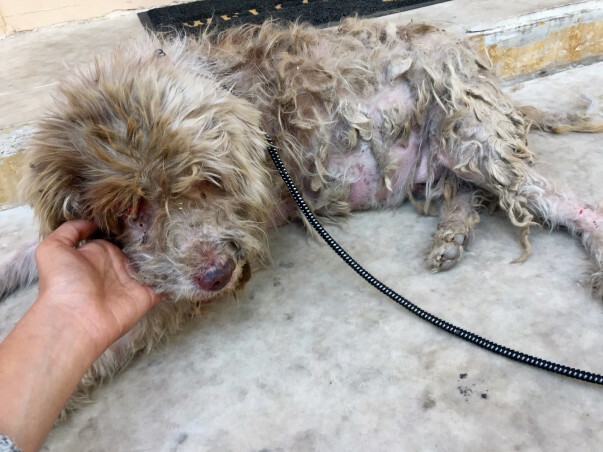 The poor champ was barely able to stand and was bleeding from the maggot wounds. 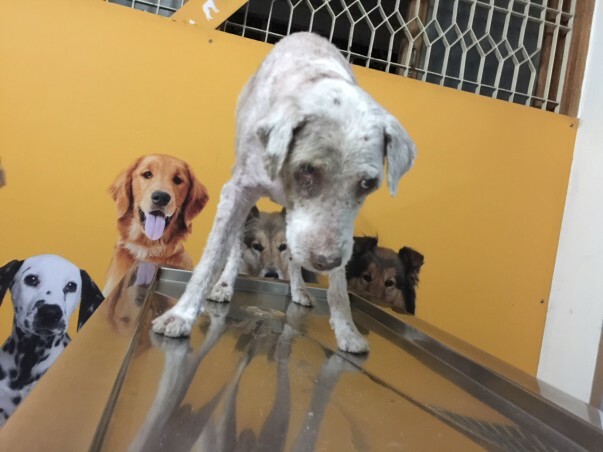 After all he have been through he still wagged his tail seeing us and trusted us. I rushed him to hospital and hand picked over 40 thorns from his body. got his matted fur shaved. 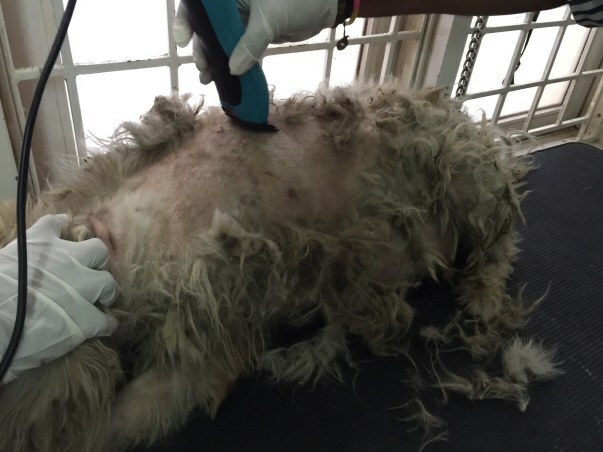 He had a million fleas, high fever, worse skin condition, bacterial and fungal infection together. 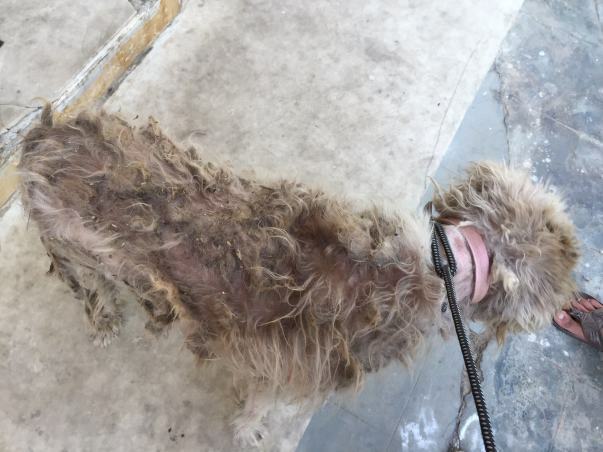 After shaving the matted fur and medicated bath the poor thing was just a bag of bones. 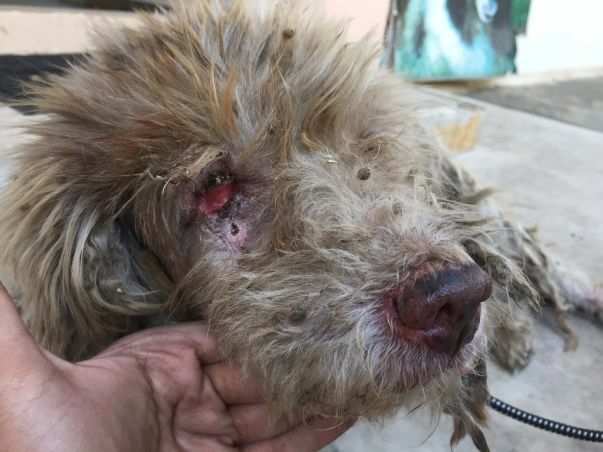 He have wounds at several places all over his body and a badly damaged eye. 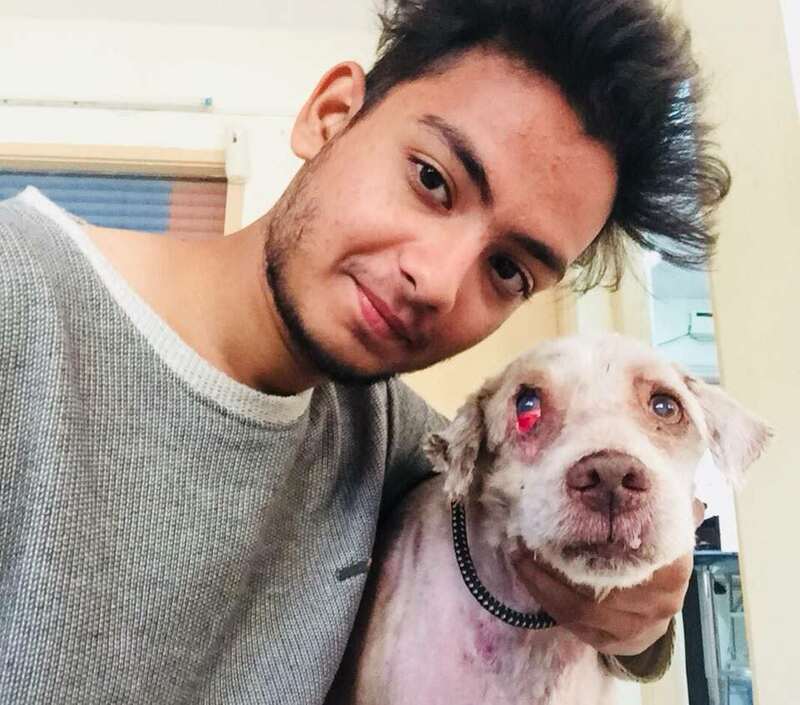 He have been through hell and thanks to those kind humans who abandoned him. Help us save this fighter he deserves a chance to live and is one adorable cupcake you will fall in love the minute you meet him. Morning is on the road to recovery he still have a very long way to go. We are fighting with tick fever and the medicated baths started. 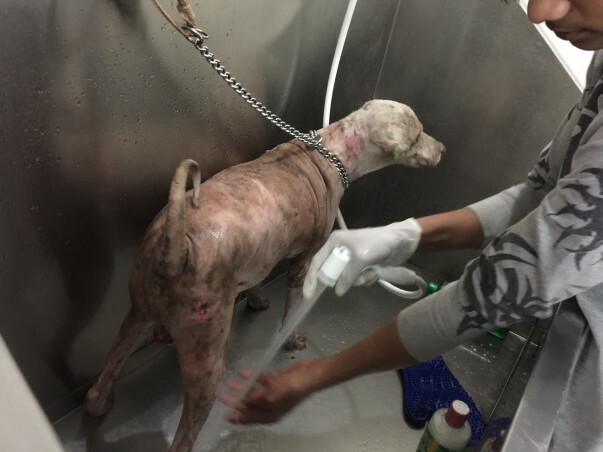 Once we are done with tick fever and medicated baths(for his skin infection) we will go with his operations. Morning will be forever grateful to each of you who came up to help and gave him a second chance at life. Pawbless to each one of you who donated and shared, you guys are the real angels ♥️ Alot of Doggie licks coming your way!! for further updates in near future you guys can mail me on pawsforlifee@gmail.com or drop me a message on facebook.